Ludhiana Taxi Service is part of Famous Tour And Travel Chain Know as Mahajan Travels, Travelling by Taxi in Ludhiana is a safe and secure way. With a wide network and convenient way of hiring Taxi in Ludhiana we provide quick and fast service. For years Ludhiana is quite famous as a business destination in India. It is not only famous for hosiery industry but it also have other places which are a masterpiece of architectural beauty as well. Ludhiana being near from Chandigarh, Patiala and Amritsar ,the best way to explore all the flavour of Punjab is to travel by a cab. We are specialist in Ludhiana to Delhi One way Taxi Service. 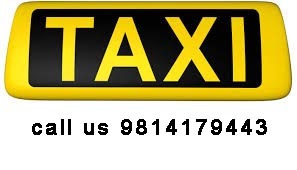 There are many companies which provide Taxi service in Ludhiana. But we are different as we always tries to give our best possible facility for our clients. We are main player in Ludhiana travel industry, with more than 50 cabs and 24 hour helpline. Our main specialty is our commitment with our clients. Ludhiana taxi service keep our words from starting till the end and thus no problem is faced by any one. The respect we have for our clients makes us different from others. We provide all sort of cars for rent like luxury, economical and family. Our taxi are all updated and well maintained for your convenient travelling experience which will make your trip worth remembering as well our services.We keep our drivers well informed about all the places and routes and they all are well trained and Educated . 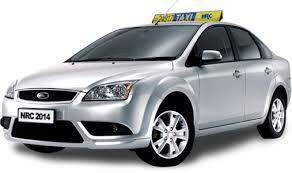 It is quite easy hire Taxi service in Ludhiana with our online facilities. Ludhiana Taxi service is the best and most experienced cab provider in Ludhiana, We Offer oneway cab from Ludhiana to Chandigarh, Ludhiana to Delhi, Ludhiana to Amritsar. Our Others sites are taxi service Mohali Zirakpurtaxiservices.com. We also Provide One way Taxi From Ludhiana To Delhi taxi service, Ludhiana To New Delhi, Ludhiana To Mohali Airport, Ludhiana To Chandigarh Airport, Ludhiana to Amritsar. Ludhiana to Amritsar is the Most demading route because Amritsar International airport is near to Ludhiana and People like to Start their journey from Amritsar rather than New Delhi. We are open 24/7 including holidays. We are the only taxi company in Ludhiana servicing Casper, Fort Collins, and Denver. We do business openly and fairly. We also have all the government approvals . Ludhiana Taxi offer zero advance for Ludhiana to Delhi One way taxi service.